The new generation free-fall sorting solutions combines the efficiency of laser detection on foreign material, with the camera to sort discolorations and shape of products in free-fall. Developed in-house, the unique BSI (Biometric Signature Identification) technology works by detecting the biometric characteristics of objects. Combined with TOMRA’s patented Fluo™ technology, the Nimbus detects the slightest shades of chlorophyll to create an even better contrast between good products and defects. Other technologies available are SWIR, creating contrast between water-based products and other materials, the Advanced Foreign Material Detector™, and Detox™ for aflatoxin detection. TOMRA Sorting Solutions has been presented with the 2015 Innovation Award at the World Nut and Dried Fruit Congress which took place in Antalya, Turkey, for its groundbreaking Nimbus BSI sorting technology. Read all about it in the press release. The Nimbus BSI can be equipped with two types of scanners. The standard BSI module is ideal for the removal of foreign material, while the BSI+ scanner deploys a wider spectrum and also detects visual irregularities identifying not only foreign material but also product specific defects. TOMRA Sorting Food unveiled upgrades to its ground-breaking Nimbus BSI sorter for the nut, dried fruit and other food industries at The Almond Conference 2017 in Sacramento, California, on December 5-7. Read all about the new upgrades in our press release. One of the major problems Andersen & Sons faced in the past was their inability to identify defects using just laser sorters. Having outgrown its latest walnut sorting machine, they needed something that would meet the company’s specific demands. Discover all about Andersen & Sons buyer's journey and find out why they decided to partner with TOMRA. 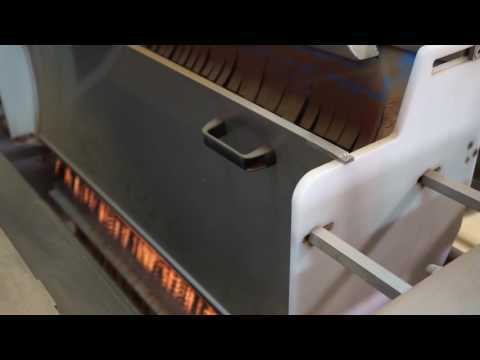 “We turned to TOMRA because when looking at the challenges ahead, it soon became clear that TOMRA was going to meet our high requirements, and was able to achieve the quality and the high throughput in a timely manner. 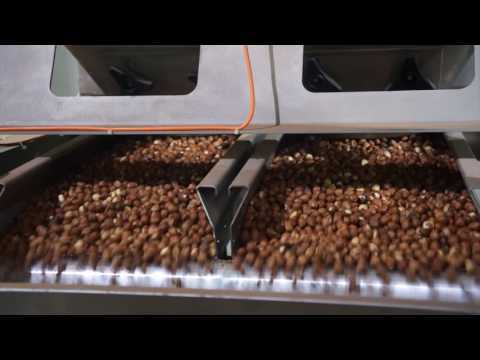 Their years of expertise led to us developing the best walnut sorting solution for our needs,” said Scott Brown, Production Manager at Morada Nut. Read Morada Nut's testimonial here. “By implementing TOMRA’s Nimbus BSI in our almond processing lines, our company Stewart & Jasper gained enormously. Our throughput has increased immensely and we have seen our labor expenses drop. On top of that, our product quality has improved. We have thoroughly researched the sorting industry, and it goes without saying that TOMRA’s Nimbus BSI is unmatched,” said Jim Jasper, Owner Stewart & Jasper, USA. “To assist in our global growth we decided to partner with TOMRA. This will help us to provide high volumes of high-quality raisins,” says Türkan Orhan, general manager at Orka Tarim, Turkey. Read his testimonial.